President and CEO of ImmersiveWorlds. Family Office Insights is pleased to recap with Galen Ho, who presented for the community on September 19th, 2018. Family Office Insights sits down with Galen Ho, President & CEO of ImmersiveWorlds, a comprehensive VR- and AR- enabled content and commerce platform. The Company is targeting enterprise clients with at least 10M users in the healthcare, retail, media and entertainment, and education sectors. Tell us about your background and how you got into the industry? Hi…I am Galen Ho the Co-founder, President & CEO of ImmersiveWorlds. I have an Electrical Engineering degree from Oregon State University and spent 39 years in the Aerospace and defense industry…five of those years were in the US Air Force/Special Operations R&D. Of the 34 years in the Aerospace Industry, I worked for IBM Federal Systems, Loral Corporation, Lockheed Martin Corporation and BAE Systems Plc (US). In the Aerospace Industry, my specialty was Avionics Systems integration of very complex systems, primarily in project management and the last 19 years in C-suite positions. After retirement in 2007 from BAE Systems, I worked as a self-employed consultant before entering the startup world in 2010. Tell us about your company – what is ImmersiveWorlds? The development of our VR and VR-Lite (for AR) platform was started in 2009 with over $12M of R&D funding and was recapitalized in 2013 with another $2M+ of founder and F&F investment primarily focused on the adoption of the AWS Lumberyard rendering engine for high performance, yet easier to use for developers. We also upgraded our SOA Avatar rendered library to host photo-real Avatars and improved the 3D clothing line. We will complete this development upgrade in October of 2018. And we intend to rehost our platform and all of the high Quality assets on the AWS cloud We also have spent a substantial effort to better understand what the Enterprise market needs in adopting VR & AR technology and our primary focus in on Diabetes Healthcare education and some minor efforts in VR/3D fashion. We seek $2-3M to complete our VR Diabetes development and marketing project. What are some of the challenges you face in the market? It’s really about the adoption & market timing. Since headset development for immersive VR is still sorting itself out and it will take a while for market leaders in that arena to build substantial installed bases, we’re focusing on applications where headsets aren’t necessary, but the technology still has a big impact. So we use Smart TV screens, current tablets devices and smartphones, which are more powerful than the desktop computers of a decade ago, to bring VR immersion and interactivity to users. The VR goggle experience can be later added to the experience, but we want to make it easy for the customers to adopt our applications and have value immediately. We’re just completing our integration of the new Amazon Lumberyard rendering engine which will produce the highest-fidelity quality, so our worlds, our assets and our avatars are realistic and easier for the developer. Most of our competitors are still in beta or development mode, while our platform is comprehensive and complete – including a virtual economy, transaction processing for real and virtual goods, item tracking and analytics backing up all of that and the ability to create and customize your own avatar with hair, makeup, clothing and gestures. We’re also the only platform that enables thousands of simultaneous virtual users – which will be important as virtual worlds become as ubiquitous and are now for enterprises to conduct business and communicate with their customers. We’re looking for investors who BELIEVE that this technology is a game changer in the Enterprise Business marketplace and want to work with an execution-focused team for an early advantage in this market. We’re practical, lean, focused on enterprise marketing and dedicated to building solid business cases for them that impact the bottom line. If the Investor has extensive networks in the areas of healthcare and some of our other market verticals that would also be ideal. What's the next market focus for you? Continuing our development of VR Behavioral modification for diabetes. We can take that global, as well as to adjacent markets in Addiction, Weight loss, exercise and stress management. There’s so much opportunity for this technology in terms of new markets…That’s a nice problem to have!! To create a very profitable VR/AR business by Year 2, that is responsive and provides a good ROI value to both our customers and investors. We want to be a major leader in this VR/AR marketplace but focused on the effective ADOPTION of these capabilities in our three focused enterprise markets = medical, fashion and education/travel. 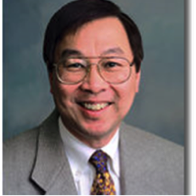 Galen Ho is a former Senior VP, BAE Systems; President, BAE Systems’ Information and Electronic Systems Integration Sector; President, Lockheed Martin Electronics Systems; VP, IBM’s Federal Services Group. Galen, a software technology executive with global experience, focuses on advancing high-impact technologies in the marketplace. Galen is adept at managing large, complex organizations with leading technologies, including a $5B business with over 9000 employees at BAE Systems. 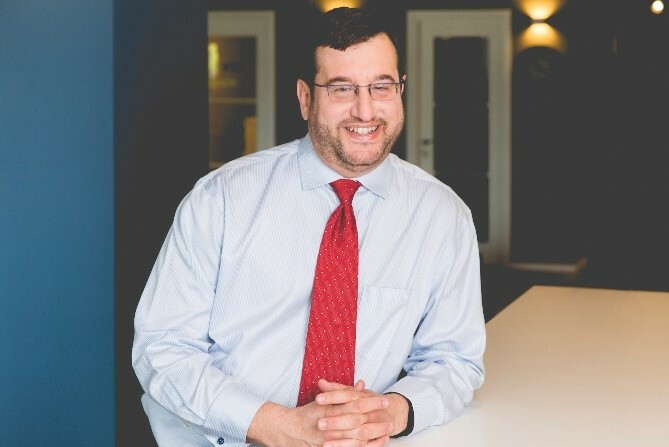 His prior management responsibilities include program management; engineering and technology; strategic planning; mergers and acquisitions; internal audit; and information technology.